When my husband informed me that one of his co-workers had inquired about a beach session for her family, I was both excited and nervous. Excited because who doesn't love shooting on the beach? Nervous since Carolyn is on my husband's team at work, and what if I didn't deliver the gallery that she expected? I have confidence in myself and my ability to deliver a quality gallery to my clients. However, when it's your husband's co-worker, whom you've never met before, who is inquiring about a session...there is bound to be that annoying voice in the back of your head that makes your nerves a bit louder than normal. I was a tad bit nervous, and I'm not ashamed to admit it. 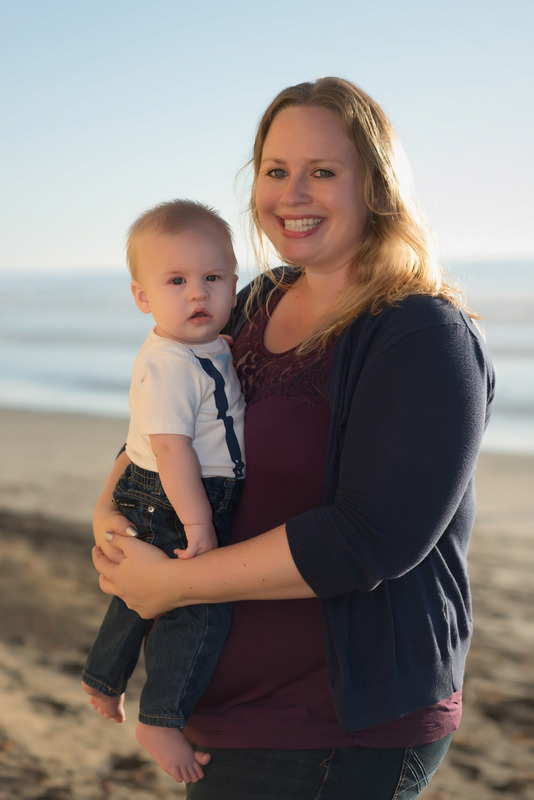 During our session consultation Carolyn mentioned that her husband, Danny, and she sometimes take their two young sons, Leo and Gavin, on a train ride from their home in San Diego to Solano Beach. 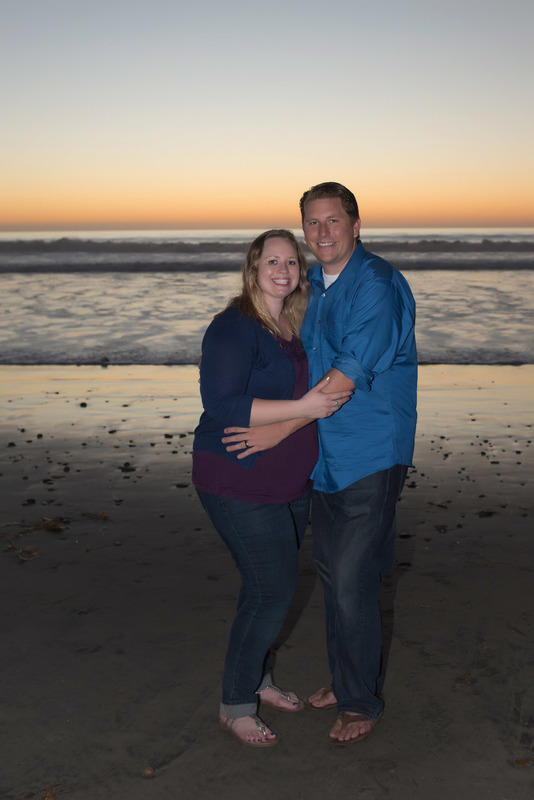 After chatting, we decided that the beach near Fletcher Cover Beach Park would be an ideal location for their sunset family session. Like every other toddler I know, Leo needed plenty of time to run. He wasn't too keen on posing for pictures. So, we encouraged Danny to chase Leo down the beach. Watching this father and son enjoy themselves on the beach was priceless. My husband and I have two young sons, just like Carolyn and Danny. So, when I saw Leo gaze lovingly at his baby brother, Gavin, like this, my heart melted. He is already such a good big brother. All in all, it was both a fun and a relaxed family beach session. The Veeh family could not have been any more lovely, and I am very happy I was able to work with them.